First off, sorry bout the delay between posts – I took last week off to get out and enjoy the nice weather we’ve finally been getting up here. I think it’s good to balance the gaming with a little bit of actual activity outside. That said – we’re back to the games this week. PAX East is usually the first big stop for some of the major news releases for the year, and this year was no different. Titanfall announced their first DLC package, as well as a few details about the next update for the game – Titan burn cards and 2V2 Last Titan Standing. The DLC looks like it should be pretty nice with three new maps set on the outskirts of the frontier, which should mean a little bit more variation in the looks of the maps. But for me, the biggest part of PAX East was the Borderlands Pre-Sequel getting a bit more information released. I’ve been a big fan of the Borderlands series since I first played the original game a few years ago – I’m actually in the course of re-playing it now with some friends. I think the formula is a perfect example of blending two genres beautifully, taking the RPG and Shooter elements and making them work together perfectly. Borderlands 2 took the first game and just refined it, while also making it bigger and better. That was almost two years ago though – which is a long time for a game to be supported these days. With the Pre-Sequel on the way, I think it’s time to examine it a little bit. 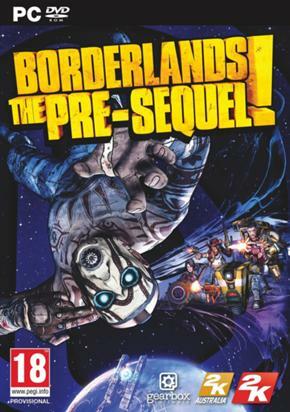 From a real-world perspective, I think the Pre-Sequel caught a few people off guard, who were expecting Borderlands 3 to be the next game in the series. But ultimately I think 2K is going the right route with this – instead of forcing a game out on the Xbox One/PS4 with a shorter development time, they are instead sticking with their already large install base on the 360/PS3. It’s similar to what Bungie did with Halo: Reach – instead of having their last game be a one-off game and not part of a trilogy, they went back in the mythos and told a new story that was relevant. This is a similar idea – it’s a different development studio: 2K Australia; and while I’m sure that Borderlands 3 is probably in some stage of development, it’s not nearly ready to be the focus. This gives 2K a chance to keep the franchise fresh, telling a new story that is relevant to the overall universe, with characters that are both new and preexisting in the actual game world; and at the same time, they can try out new ideas and gameplay mechanics that could appear in the next true sequel. Talking of the actual in-game information, there’s still a lot that we don’t know. But the information that we do know is compelling – four “new” characters, a new setting and a story that hasn’t been told yet, but we know the outcome of. I say that the characters are “new” because they really aren’t – all of them either appeared in Borderlands or Borderlands 2. Athena, The Gladiator was in Borderlands’ DLC The Secret Armory of General Knoxx where she helped the vault hunters stop Knoxx. Wilhelm, The Enforcer is Handsome Jack’s bodyguard in Borderlands 2, acting as a boss at one point in the game. Nisha, The Lawbringer is the Sheriff of Lynchwood in Borderlands 2, also acting as a boss at one point. 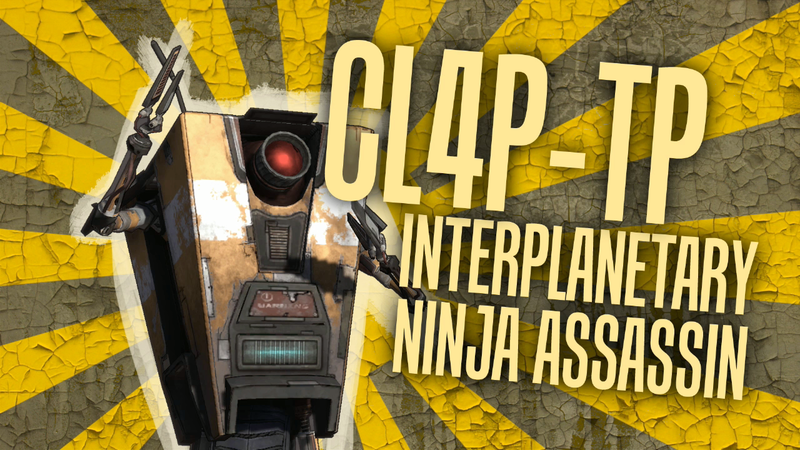 And Claptrap, The Fragtrap is the lovable mascot for the Borderlands series, appearing in both games and playing a major role in the last DLC for the first game. I think the choice of the characters is actually really important – instead of picking four random characters, 2K chose characters that players are already familiar with and this will give us the chance to see their backstories play out more in depth. The setting is also unique within the series – it’s the first game to not be set on Pandora, instead being set on Elpis, Pandora’s moon. The setting actually reinforces my thought that, although this is a prequel to Borderlands 2, it’s actually probably better to have played through Borderlands 2 before playing this game. A lot of the choices they seem to be going with in terms of characters and setting make a lot of sense knowing how Borderlands 2 unfolds, again, much like Halo: Reach made more sense knowing the full story after Halo 3. As for some of the little details like the new Cyro element, a lot of that will have to be seen in action to really get a feel for it; but from a story-telling perspective they have a built in out to explain it – it only exists on Pandora’s moon, that’s why it wasn’t in Borderlands 2. I think that with some of the early year leaks/rumors that this year’s E3 should be a pretty damn busy and important one. I would not be surprised to see a pretty high number of Triple A titles have release dates announced that are for this fall, along with some of next years big titles teased as well. But that’s a post for another day.